Nearly two-thirds of students were enrolled in failing schools. Only 35% of students attained "proficient" scores on state exams. Less than three months after Katrina made landfall -- and New Orleans schools' were either shuttered or destroyed -- the state legislature transferred over 100 low-performing schools to the Recovery School District, paving the way for the largest charter school experiment in American history. Today, 91% of New Orleans students are enrolled in charter schools. The Recovery School District boasts impressive results -- the on-time high school graduation rate is up nearly 20% from 2004. Now 62% of students receive proficient scores. But who's been left behind? Thomas Schulingkamp lives with 4p- syndrome, a chromosome deletion that's led to cognitive and development problems. He's non-verbal. He was a teenager when Katrina struck and his family evacuated to Michigan. Thom Schulingkamp, center, is training to be a busboy at Raphael Academy. "Thomas is a New Orleanian through and through," said his mother, Miriam Schulingkamp. "Not only does he dress like a New Orleanian, he's a big Saints fan, he loves live music. He's very happy in New Orleans ... so he was anxious to come back." But it would be eight years before Thomas returned to New Orleans. He eventually enrolled at Raphael Academy, a small private school founded in 2012 by Jacqueline Case, the mother of an autistic son who was also frustrated by the lack of special education in the rebuilt school system. "Some of our students were just able to move back to New Orleans a year ago because there was finally a school that they could come to," Case said. "They hadn't been able to come back home because there wasn't a program for them." Schulingkamp and Case's experiences were not unique. In 2010, the Southern Poverty Law Center filed a class action suit against the Louisiana Department of Education, among others, alleging that it "failed to ensure that public schools offer disabled students the same variety of educational programs and services as are available to non-disabled children." It called the practices "nothing less than disability discrimination." The parties eventually agreed to a settlement, and Recovery School District vowed to hold charter schools accountable for providing adequate education to special needs students. 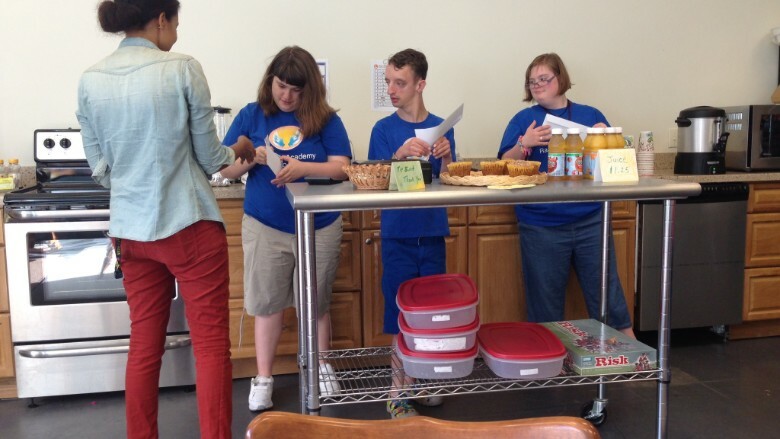 Raphael Academy in New Orleans' Irish Channel serves students with special needs. Laura Hawkins, a spokeswoman for Recovery School District, told CNNMoney that special education services "weren't perfect, but the organization has made a concerted effort over the years to improve," pointing to increased funding for charter schools that have innovative special needs programs. In addition, a new enrollment process is blind to a student's special needs status, so charter schools cannot reject students that might strain their resources and budget, as they had in the past. Still, whereas one of the main selling points of New Orleans' charter system is choice, empowering families to select the school that's right for them, parents of special needs children feel they have limited options. Thomas is thriving at Raphael Academy, based on Rudolf Steiner's Camphill philosophy, which emphasizes community inclusion and vocational training. But the $14,500 tuition is prohibitively expensive in a city where 39% of children live in poverty. Case, who waives half her salary as director of Raphael, understands that the school is a small solution to a big problem. "When [parents] call ... and they can't afford the tuition, there isn't one public school that I know of that I refer and say 'this one's got it right.'"